We’ve laid out the long, long, interminably unending list of endocrine diseases and disorders, but there are two that just about everyone has heard about and a lot of people are effected by; diabetes, and thyroid disease. This occurs when the body loses the ability to make insulin or can only make a very small amount of insulin. Type 1 diabetes is usually caused by an autoimmune process, and your body’s immune system mistakenly destroys the insulin-producing cells. About 10% of individuals with diabetes have type 1 diabetes. A number of medical risks are associated with type 1 diabetes. Many of them stem from damage to the tiny blood vessels in your eyes (called diabetic retinopathy), nerves (diabetic neuropathy), and kidneys (diabetic nephropathy). Even more serious is the increased risk of heart disease and stroke. Type 2 diabetes is the most common form of diabetes and represents 80% to 90% of diabetes worldwide. This type often develops from pre-diabetes or borderline diabetes. Prediabetes is characterized by the presence of blood glucose levels that are higher than normal but not yet high enough to be classed as diabetes. With Type 2 diabetes, the pancreas usually produces some insulin. But either the amount produced is not enough for the body’s needs, or the body’s cells are resistant to it. Insulin resistance, or lack of sensitivity to insulin, happens primarily in fat, liver, and muscle cells. People who are obese — more than 20% over their ideal body weight for their height — are at particularly high risk of developing type 2 diabetes and its related medical problems. Their obesity, causes them to have insulin resistance. With insulin resistance, the pancreas has to work overly hard to produce more insulin. But even then, there is not enough insulin to keep sugars normal. There is no cure for diabetes. Type 2 diabetes can, however, be controlled with weight management, nutrition, and exercise. Unfortunately, type 2 diabetes tends to progress, so you have to keep on top of it. The largest of all the endocrine glands is the thyroid gland. Often, when people gain weight, they rush to attribute it to a thyroid problem rather than an Oreo overload or an overload of any food just loaded with bad stuff. (Like we need to tell you what that bad stuff is.) 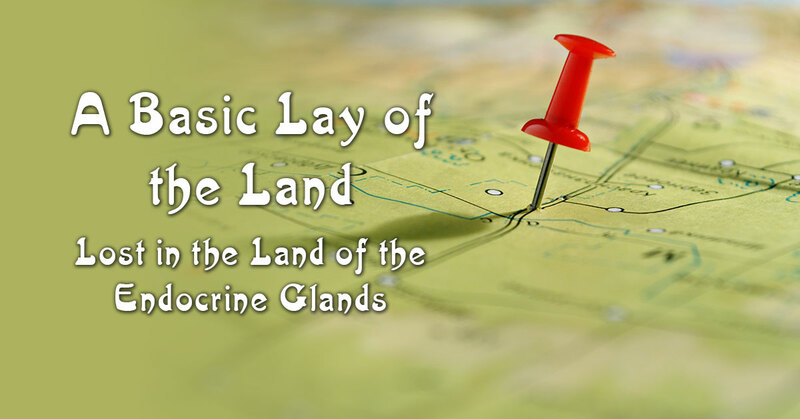 Thyroid disorders follow closely behind diabetes in the United States. About 20 million Americans have some type of thyroid disorder. Your thyroid gland makes hormones that tell your body’s systems how fast work. When you have too much thyroid hormone, your systems work in overdrive. When you have too little, your body becomes sluggish. Thyroid hormones regulate how the body breaks down food and either uses that energy immediately or stores it for the future. In other words, our thyroid hormones regulate our body’s metabolism virtually influencing every organ system in the body. It’s a fact, that most people think they have every symptom there is. What to think? What to do? Well, doing nothing is the one thing you can’t afford to do. Before you think the worst, think of the best thing you can do. See Dr. Stephen A. Goldstein MD, F.A.C.S. at Denver Hormone Health. The endocrine system is all about hormones, and Dr. Goldstein is one of the most renowned hormone specialists in the Denver area. He has years of experience and expertise and keeps up with the most advanced studies in the field. If you go in to see him in a panic, the first thing he’ll do is make you feel comfortable. With simple tests, he can determine what your issues are, and if they are a result of hormone imbalance, he can get them back in balance with a unique treatment plan tailored just for you. So, call now for an appointment. It’s the beginning of the road to good health.